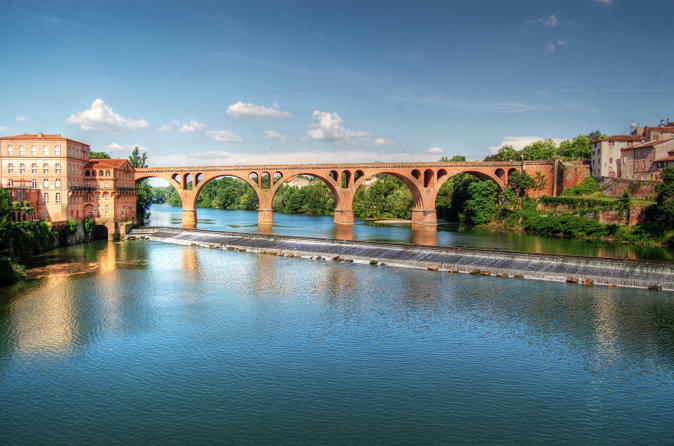 Enjoy a cultural experience and wine tasting in two notable towns just outside of Toulouse on this private half-day trip to Albi and Gaillac. In Albi, explore the UNESCO World Heritage-listed Old Town, tour Albi Cathedral, and visit the Toulouse-Lautrec Museum to learn about the city’s most famous native, legendary French artist Henri de Toulouse-Lautrec. Then head to an authentic winery in the wine town of Gaillac, where you’ll meet the owners and enjoy a relaxing tasting of the estate's organic wines. 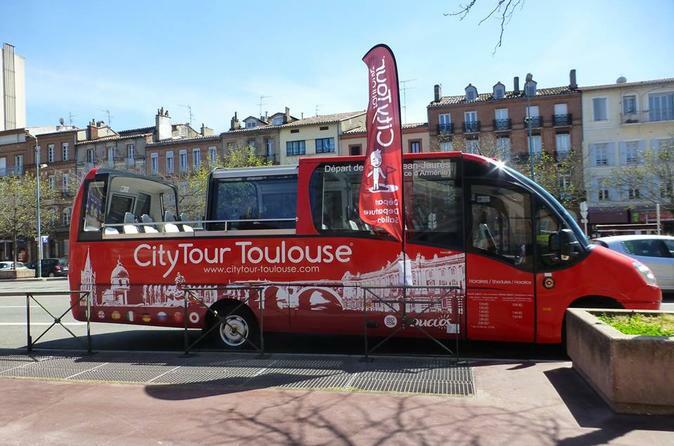 Enjoy a tour of Toulouse in an open-topped minibus which will reveal to you the most famous attractions and historic monuments of the “Ville Rose” in a 70-minute tour available in 8 languages and you can hop-on hop-off. 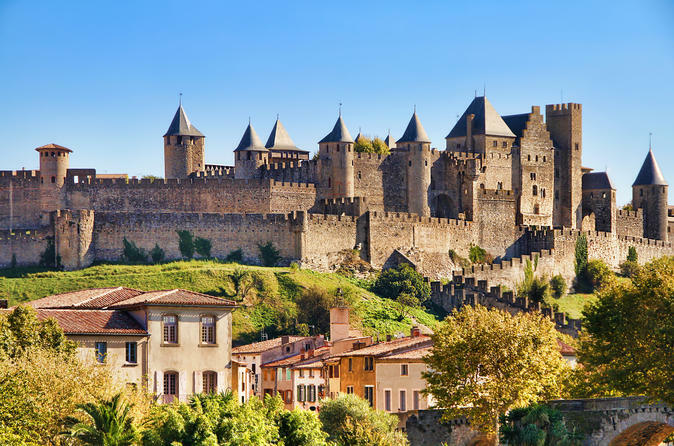 Discover the treasures of the fascinating historic city of Carcassonne on this private day trip from Toulouse. 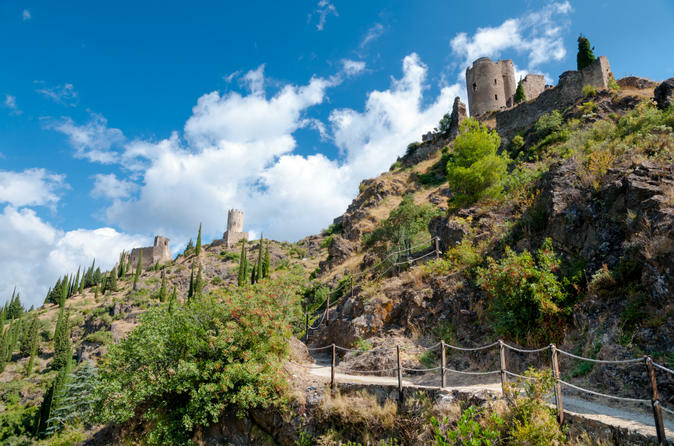 With a passionate local guide, tour Carcassonne's UNESCO World Heritage-listed medieval fortress and visit the four cliff-top Châteaux de Lastours. Enjoy a gourmet French lunch at a Michelin-rated restaurant and finish with wine tastings and vineyard tours at two esteemed local wineries. 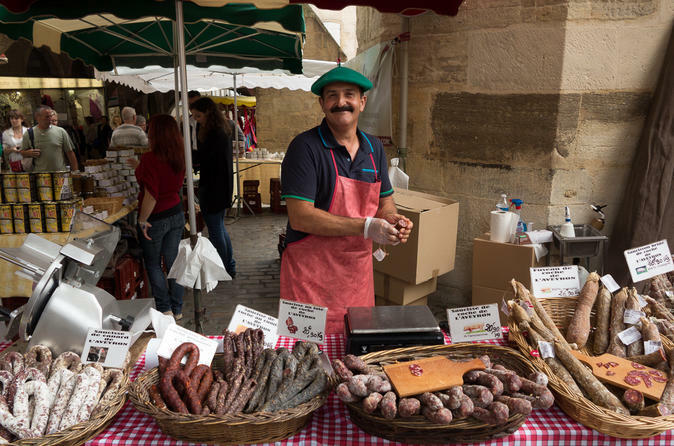 Explore the vineyards and wine cellars of Cabardès on this 6.5-hour private tour, and enjoy tastings of the locally made produce in two wineries. Discover France’s Languedoc-Roussillon region, and learn of the age-old wine-making heritage in the rural ‘terroir’ near Toulouse. Hear of the various stages of wine production from vine to glass from a private guide, and see for yourself the work in progress. Enjoy tastings of locally grown wine in two of the area’s wineries, and gain a greater appreciation of the many flavors and aromas waiting to be discovered. 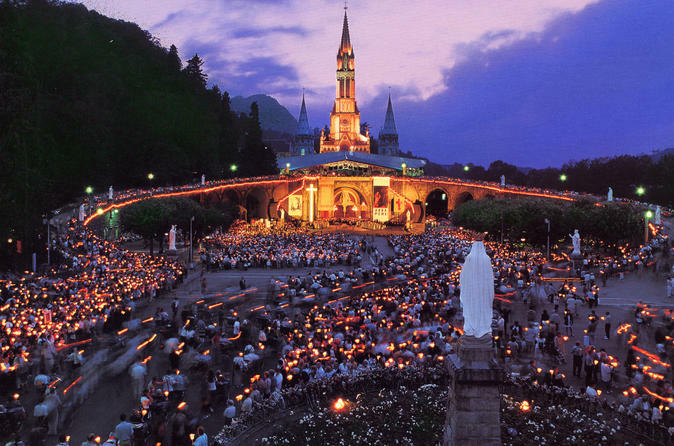 A 3 days break to visit one of the most important Marian Pilgrimage in the world: Lourdes. A private transfer will take you from Toulouse Airport to your hotel in Lourdes near the Shrine. A private guide will help you to discover more about Lourdes and the beautiful story of St Bernardette. Private hosted/guided tour in Aveyron, a beautiful region in the Midi-Pyrénées in southwest France. Do you want to experience the places you travel? Do you want to feel engaged? Do you want local insights? 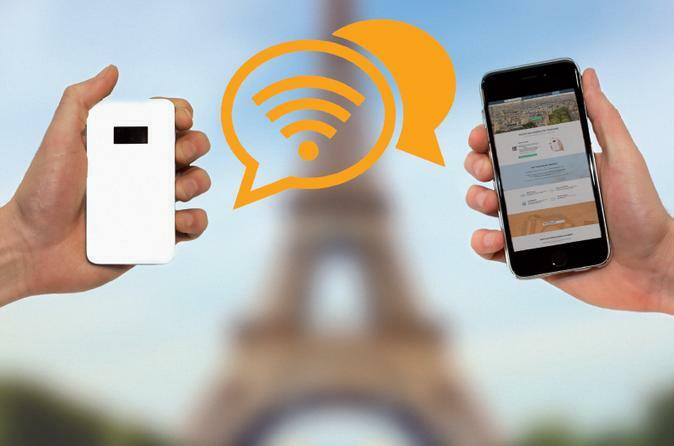 Do you want to really connect with people and places? If you answered 'yes' to one or more of these, you've come to the right place for an experiential travel opportunity! You can claim your own private tour as we do not form groups. Sip your way through one of France’s oldest wine regions on this Fronton wine tour from Toulouse. Visit two wineries to meet passionate winemakers, learn about the history of the renowned Fronton appellation and sample rustic red wine made from Fronton’s famous grape variety, négrette. 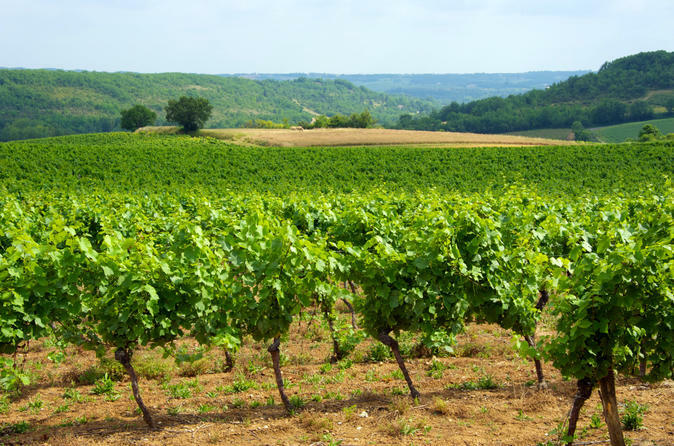 Comfortable minivan transport, beautiful vineyards and exquisite wine combine to create the perfect getaway from the hustle and bustle of Toulouse. 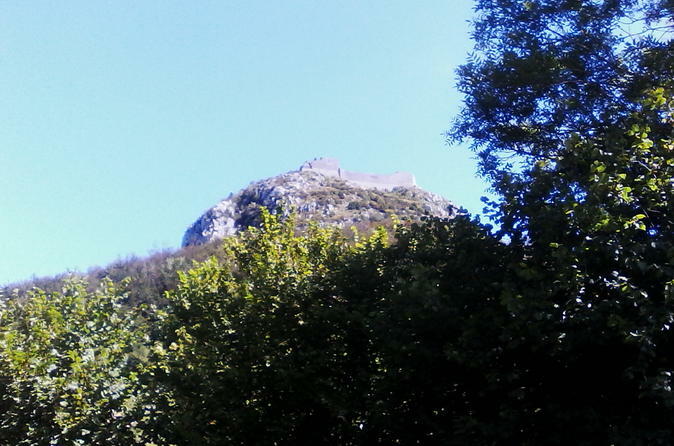 One Day Tour - Castles of Montsegur and Puivert. One day tour with James mcDonald to two of the Aude's most magnificent Castles. A full day tour commencing around 9:00am and finishing around 5:00pm.